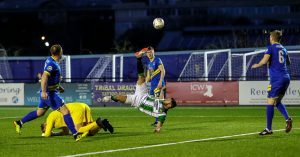 A YOUTHFUL Aberystwyth Town side fell to a narrow 2-1 defeat at the hands of Welsh League contenders Haverfordwest County at the Conygar Bridge Meadow Stadium on Saturday afternoon (Jul 28). 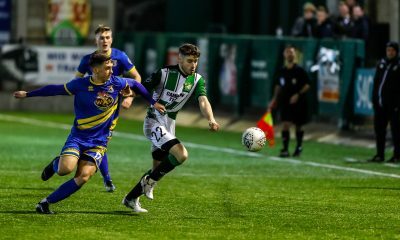 The game was played less than 24 hours after the Black and Greens lost 1-0 in an entertaining game against National League North outfit AFC Telford United at Park Avenue on Friday evening. 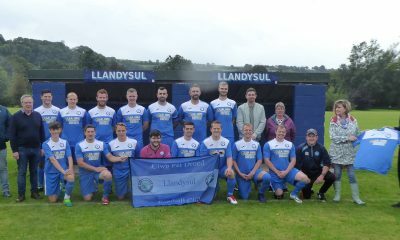 Danny Williams bagged a brace for Haverfordwest in a game where Geoff Kellaway’s deflected goal had seen the Seasiders pull level for a brief spell in the game. 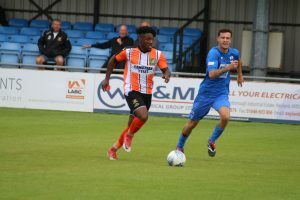 Saturday’s hosts started the brightest as former Seasiders Elliot Scotcher and Ricky Watts dominated the early possession, and they were very nearly in front after 15 minutes when Tim Hicks’ effort was cleared off the goal line. 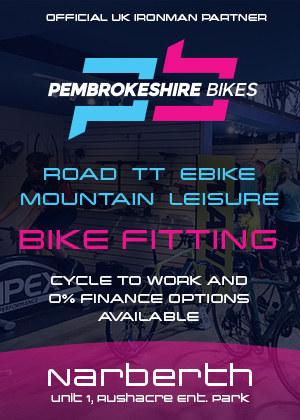 Soon after the hosts had another opportunity as Watts tested youngster Alex Pennock in goal. 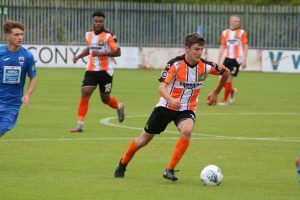 Despite seeing little of the ball, the young Seasiders defended resolutely, with Lee Jenkins and Carwyn Morgan looking assured in the central defensive positions. 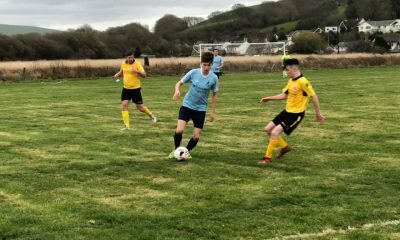 Aber gradually worked their way into the game as Harri Rowe and Tom Evans both provided width on the flanks, linking up well with Geoff Kellaway and Nashawn Blake. 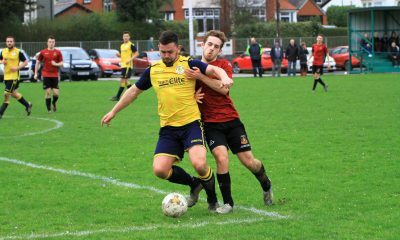 But on 30 minutes, the hosts took a well-deserved lead as Scotcher’s rasping effort was well saved by Pennock, only for Danny Williams to reach the ball first and tap home the rebound to make it 1-0. 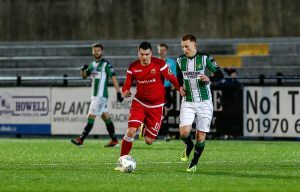 The Black and Greens continued to try and play their way out of the back, with Liam Berner and Ben Davies showing excellent glimpses in central midfield, however it was the hosts who almost doubled their lead before the break as Scotcher saw his free kick rattle against the crossbar. 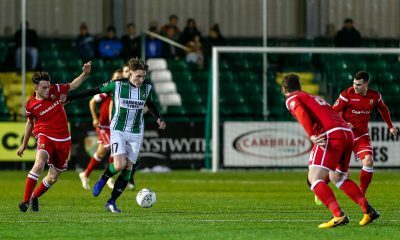 Aber started the second half in brighter fashion, with substitutes Steff Gittins and Harry Cottam having an instant impact on the side. 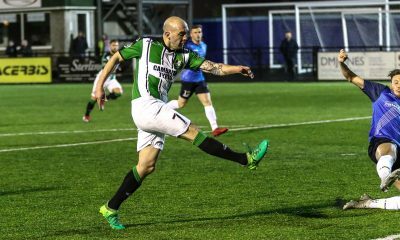 On the stroke of the hour mark, the black and greens found an equaliser as Lee Jenkins strode into central midfield before seeing his shot deflect off Geoff Kellaway and into the back of the net to make it 1-1. 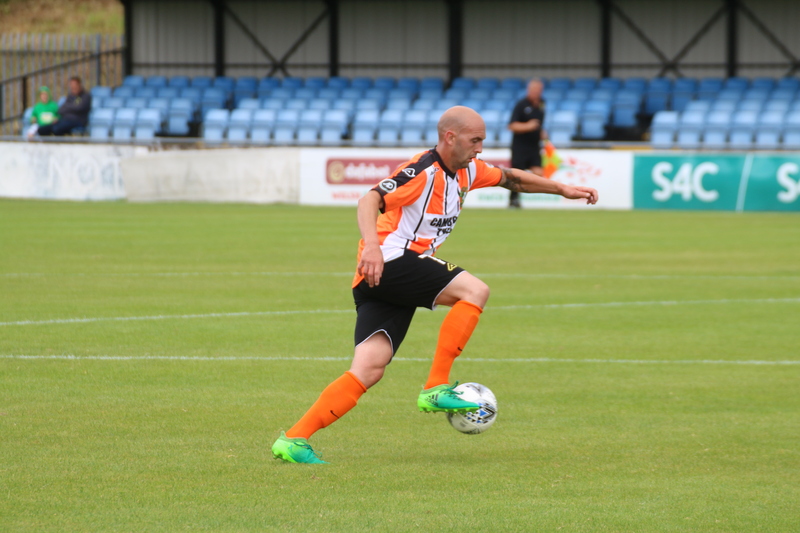 But soon after, the hosts were back in control as Danny Williams played a one-two with Martin Carroll before unleashing an unstoppable effort into the top corner to make it 2-1. 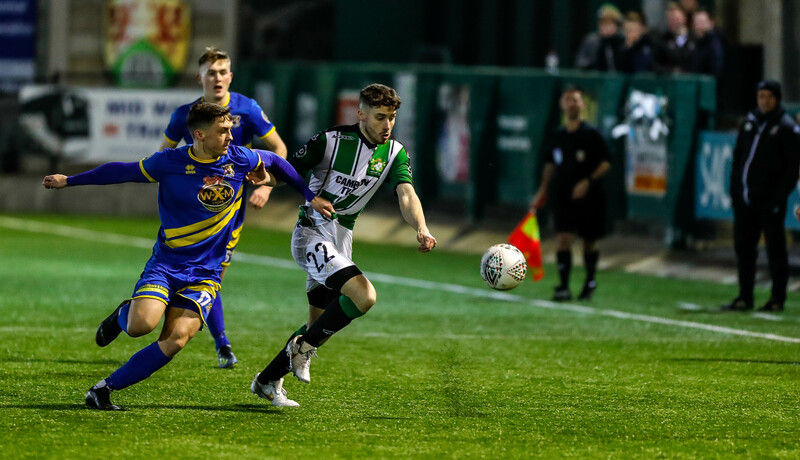 Try as they might, Aber were unable to find a way back into the game despite enjoying positive spells of possession, and the Bluebirds almost netted a third before the end as Steff Williams was denied by the offside flag. 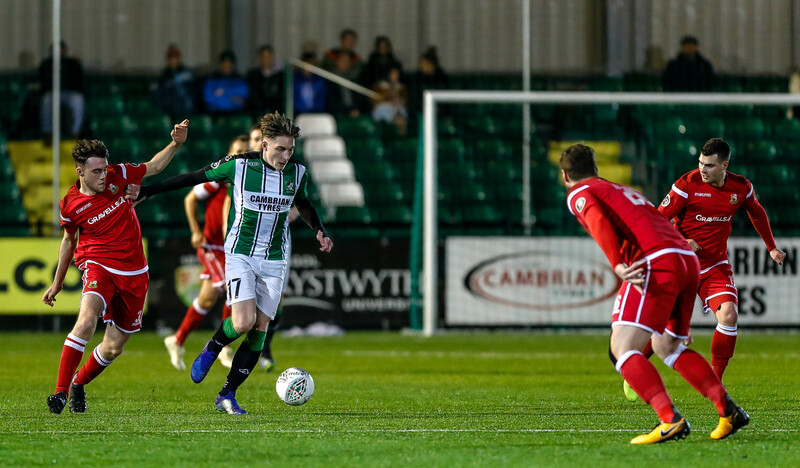 It proved to be a stern test for many of Aber’s most promising youngsters, but certainly an experience they will take plenty away from as they continue their progression and development ahead of the 2018/19 season.